The fact that the dog is man's best friend is undeniable when you consider the many incredible stories of dogs saving people's lives. Share some heart-warming tales of dogs rescuing humans and other acts of canine bravery. Austin Forman, an 11-year-old boy, was playing in his yard when a cougar suddenly charged him from out of nowhere. Before he could react, his dog leaped in front of him to ward off the wild animal. The 18-month-old Golden Retriever courageously fought the much larger cougar so that the boy could get to safety. The family then called 911, and a policeman put the cougar down. The brave dog, appropriately named Angel, was seriously injured by her fight with the cougar but she made a full recovery. She now spends her days with her grateful human family and the boy who knows he has a canine guardian angel. As Jason Breiding watched his home go up in flames, he took account of his family and, for one heart-stopping moment, realized one of his children was not present. No sooner has he absorbed this thought when the family dog came running out of the flames carefully carrying the infant by the diaper. The Breidings lost their possessions in the fire that day. As Jason cradled his infant daughter, he realized that they still had everything that really mattered thanks to the family dog. The dog, a mixed breed, was not injured in the fire. Debbie Parkhurst was shocked when she began choking on an apple. Before she could register what to do to save herself, her dog, Toby, jumped onto her chest and dislodged the apple. The American Society for the Prevention of Cruelty to Animals (ASPCA) was so impressed with the Golden Retriever's rescue that they gave him an award. Stacie Pitts was annoyed at first when Miley, the family dog, kept waking her up. She tried to go back to sleep and get Miley to quiet down. However, Miley kept waking her, and Stacie eventually realized that something was terribly wrong. Stacie soon woke her entire family, and they all found that they each felt strangely sick with nausea and headaches. After going to the hospital, the family discovered that Miley saved their lives from carbon monoxide poisoning. When Kevin Weaver collapsed from a diabetic-induced seizure, his dog Belle knew just what to do. The 17-pound Beagle bit into the phone to call 911. If Belle hadn't called for help, Weaver would have died. Belle is a therapy dog who is specially trained to detect Weaver's blood sugar levels. She often licks his nose to check his sugar levels and call 911 by biting at the numbers on the phone if help is needed. When Belle senses that his sugar levels are imbalanced, she whines and paws at him to prompt him to check his blood sugar. Booker West, a 12-month-old child, was splashing water in the bird bath when a rattlesnake cornered him and tried to strike. Within moments, Zoey the five-pound Chihuahua rushed the snake and attacked it. The snake bit the dog, but little Zoey made a full recovery. Her act of bravery saved the baby from a poisonous snake bite. Canine bravery comes in all sizes. Norman, a blind Labrador Retriever, often loved to run on the beach with his owner, Annette. He loved the freedom of the beach because it was the only safe public place where he could run free. So he didn't think twice when he heard the girl cry for help in the water. Despite the blindness, Norman raced into the water to save a little girl who was drowning. Listening to her screams, Norman found her and gently guided her safely to shore. The brave dog didn't let his lack of sight prevent him from saving a child in distress. 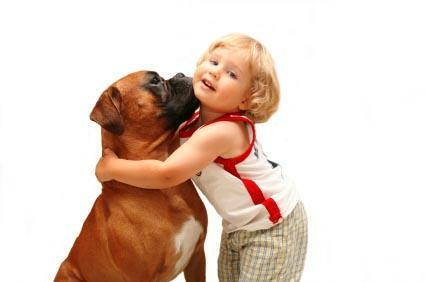 For centuries, people and dogs have shared a deep bond. Recent studies of this bond suggest that there is a hormonal response in both dogs and their human owners that resembles the bond between parents and children. Dogs of all breeds and sizes would bravely defend or help the people in their pack. Some dogs, like Norman the blind Labrador Retriever, will also show nobility and courage to help any human in need. These incredible stories of dogs saving human lives, and many more like them, reveal the loving, brave spirit of the dog and her loyalty to those she loves.